The FAA Office of Commercial Space Transportation (FAA AST) would see its budget more than triple over the next five years while the nation’s spaceports would receive more financial support for infrastructure under a measure passed by the House on Friday. FAA AST has received only small budget increases in recent years despite experiencing a large increases in its workload as it oversaw the nation’s burgeoning commercial space sector. Despite the funding stipulated in the reauthorization bill, House and Senate appropriators are not required to fund FAA AST at these levels. Two reports are required under the legislation. The Secretary of Transportation is charged with producing a report that “proposes policies and programs designed to ensure a robust and resilient orbital and suborbital spaceport infrastructure to serve” the federal government’s national security and civil space launch needs. The report will also make “recommendations on how the Federal Government can support, encourage, promote, and facilitate greater investments in infrastructure at public spaceports licensed” by the FAA. Both reports are due within one year of the enactment of the legislation, which requires Senate approval and the president’s signature. The reauthorization contains a provision that would allow experimental aircraft used to support space launches to carry people or property for compensation or hire providing individuals signed informed consent agreements acknowledging the risks involved. For example, Virgin Galactic would be able to use its WhiteKnightTwo mother ship, which air launches SpaceShipTwo, to train potential space flight participants or crew members. The testing of hardware for use in spaceflight also would be allowed. 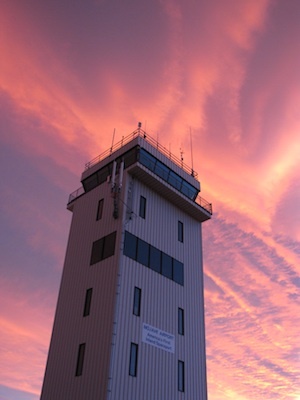 The legislation requires flights to be conducted from FAA-licensed spaceports. The measure stipulates that the head of FAA AST serve as the “primary liaison between the commercial space transportation industry and the Administration.” The goal is to improve coordination between launch providers, FAA AST and the agency’s Air Traffic Organization.